Give a Scholarship with a Mission! Most of us take the opportunity to have access to a middle and high school education for granted, but here in Guatemala, the education that the government requires and readily provides ends at 6th grade. 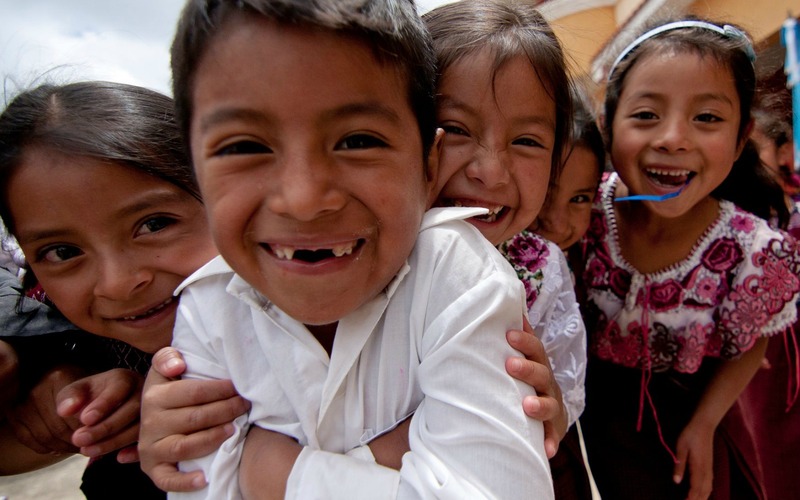 While the level of elementary school enrollment generally approaches 100%, because of the lack of access and increased cost of a middle school education, the percentage of Guatemalan youth who continue their education past the 6th grade drops to below 50%. Since its inception, Mission Guatemala has been dedicated to supporting education in the communities and areas surrounding of San Andrés Semetabaj. Three years ago, seeing the struggle of many families to provide continuing education to their children, we began a pilot scholarship program to begin to support students graduating from 6th grade who desired to continue their education but lacked the necessary resources to make this dream a reality. The students who entered in our “Becas Con Misíon” (Scholarships with a Mission) scholarship program were selected based both on economic need, as well as on their grades from elementary school. Once in our scholarship program, Mission Guatemala helps to cover the costs of inscription, tuition, as well as school supplies and uniforms, with the students being required to maintain a 75% average each semester to remain in the program. Over the past three years, we have had an average of 12 new students enter the scholarship program each year. However, for 2017, Mission Guatemala has greatly expanded the program. As this new school year began, we were excited to inform 32 new students from 20 different communities that they were accepted into our “Becas Con Misión” scholarship program! And, in addition, we were excited to welcome 9 returning students from last year. This year we also reached a new milestone, as 5 scholarship students who have graduated from middle school through our scholarship program are continuing on to begin high school! Tuition, school supplies, and other related costs for high school students are increased over the costs for middle school students, but thanks to a generous donation to our "Becas Con Misión" scholarship program from Gobin Memorial United Methodist Church in Greencastle, Indiana, these 5 students' high school costs for 2017 have been covered in full! We are excited to partner with these students and their families to support their education, and over the coming months, we will be taking a few minutes occasionally to introduce these students and to give them a chance to tell their hopes for the future and the reasons that their education is important to them. We hope you’ll join us in getting to know them. In addition, we invite you to help make these students’ dreams a reality! The average monthly cost to provide a middle school scholarship for these students is $25 a month. With a contribution of any size, you can make a difference in these students’ lives! To support a student now, click here! To see more photos of our scholarship program, click here!